For fifty years, audiences have been traveling through time with the Doctor. Though there have been 11 incarnations of our favorite Time Lord up to this point, there have been far more companions. Every viewer has their favorite non-Doctor sidekick, but now that Candy Jar books is bringing us a complete (and unofficial) guide on all of the Doctor's companions and assistants throughout the show's 50-year run, maybe viewers will be able to find a new appreciation for the others. 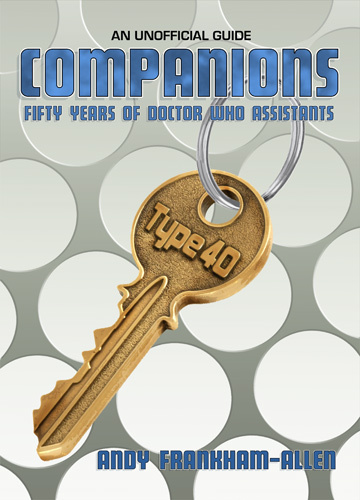 Companions: Fifty Years of Doctor Who Assistants will take an in-depth look into all of the Doctor’s time-traveling counterparts from the show's beginnings until now. According to the description, readers will also be provided with insights on each characters importance to the Doctor and how they impacted him, as well as how they impacted the audience. Before you get anxious about this being an unofficial guide, just know that author, Andy Frankham-Allen, is himself a Whovian and many of his short stories are either inspired by, or about, Doctor Who. If you’re still wary, you can go to the Candy Jar site and download a sample chapter before pre-ordering the book, which is available on June 27.